Motorcyclists tend to be a little more free-thinking, a little less likely to follow society and her “rules”, and a little more likely to go against the grain. We like to think ourselves as the modern day cowboys. In a society where the government dictates the lives of its people, rather than the people dictating the lives of its government, motorcyclists are among the last bastions of freedom. 1) What does Valentine’s Day mean for motorcyclists? 2) What should I buy a motorcyclist for Valentine’s Day? I really can’t speak on behalf of all motorcyclists on what Valentine’s Day means for us. We are a collection. From many, one people. On a personal note, I thought there something special about Valentine’s Day for a long time. It started in high school. There was a shy, pretty girl, with bright eyes, and a pretty smile that made this pimply kid feel more confident every time he saw it. I asked her to be my girlfriend one Valentine’s Day in the ninth grade. Years later, Valentine’s Day meant easy catches at the movie theaters and shopping malls, where single young women would go out together when they didn’t have dates. A buddy and I would watch from the sidelines for a while and then make our move. It was all too easy. I thought those days were miles behind me, barely a spec in my motorcycle’s mirrors, but here I am again: single on Valentine’s Day. So what? Does Valentine’s Day mean anything particularly special to me? Nope! I’m about every day kindness: pulling over to help a motorcyclist on the side road, showing a friend how to do her own oil changes on her motorcycle, never asking for anything in return but secretly hoping to score a free beer out of it. Kindness, biker style. What to know: Motorcycles require motorcycle oil, and not car oil. If you aren’t sure what kind of oil your lover’s motorcycle takes just ask a dealership. What to know: Not all motorcycles use chain drive, many cruisers, Harley-Davidsons, and similar motorcycles do not. What to know: Just because a motorcyclist doesn’t mind a dirty bike, it doesn’t mean he/she wouldn’t prefer a clean one. Detailer and good cleaning microfiber cloths that won’t leave scratches or streaks are a great inexpensive gift that works for all makes and models of motorcycles. What to know: Extremely cheap and ridiculously affordable the cargo net allows motorcyclists to secure all kinds of oddly shaped cargo, even a 24 of beer, safely at highway speeds. What to know: Oil filters vary by make, model, and year, so you’ll need at least that much info. The good news is that oil filters should generally be changed at least once per year, so you can make a tradition of out of helping to keep a motorcycle running great. What to know: Available in both print or digital, Motorcycle Mojo is one of our favorite motorcycle magazines on the market. The Mojo team is a passionate bunch who run a magazine that’s about motorcycling, and not just motorcycles. The best part? 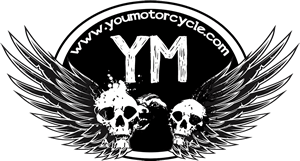 YouMotorcycle gives away one free Motorcycle Mojo motorcycle magazine subscription every month. As for me, a lady friend got me a motorcycle gift. 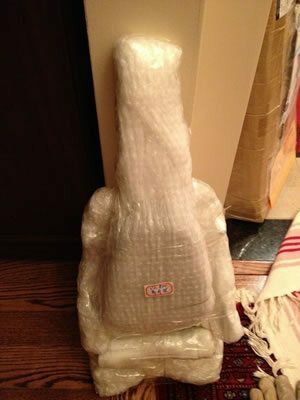 It was a special order part I wanted. That’s a little trickier for a non motorcyclist to buy, but this girl has guts so she went for it. Here’s a recent picture of her, “G”. Maybe you’re a single motorcyclist like me who doesn’t particularly care for Valentine’s Day, but you care about someone who does. If Valentine’s Day matters to that person, isn’t it worth complying with the norm just this once so that they can feel special? Remember, it’s about freedom, but kindness isn’t far behind.